Heeft u een vraag voor Discover Boracay Hotel? Ontworpen voor zowel zakelijke reizigers als toeristen, is het Discover Boracay Hotel ideaal gelegen in Kalibo Internationale Luchthaven; één van de meest populaire buurten van de stad. Het hotel ligt niet zo ver van het stadscentrum: de afstand is ongeveer 3.4 km en het duurt normaal ongeveer 2 minuten om het vliegveld te bereiken. Dankzij de praktische locatie liggen alle belangrijke trekpleisters in de buurt van het hotel. De faciliteiten en diensten, geboden door het Discover Boracay Hotel, garanderen een plezierig verblijf voor gasten. Gasten kunnen gebruikmaken van hotelfaciliteiten als gratis wi-fi in alle kamers, 24-uur receptie, snel in- en uitchecken, bagageopslag, wi-fi in openbare ruimtes. Hotelkamers zijn zorgvuldig ingericht om het hoogste niveau van comfort te bereiken, met plasma tv, internet (draadloos), draadloos internet (gratis), rookvrije kamers, airconditioning in iedere kamer. Daarnaast garanderen de talrijke recreatieve mogelijkheden dat u zich tijdens uw verblijf kunt vermaken in het hotel. 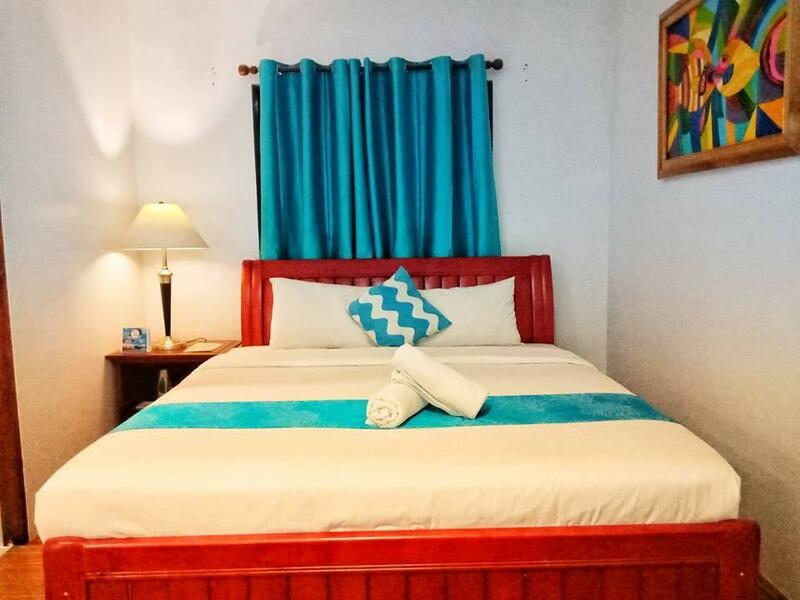 Het Discover Boracay Hotel is een ideale verblijfsplaats voor reizigers die charme, comfort en gemak zoeken in Kalibo. Great for the location since the hotel is placed right in front of the airport. You might want to take a rest and a shower if your flight time is very late at night. But some rooms are very small and some don't even have a window. just a few steps from Kalibo International Airport. Its very convenient. 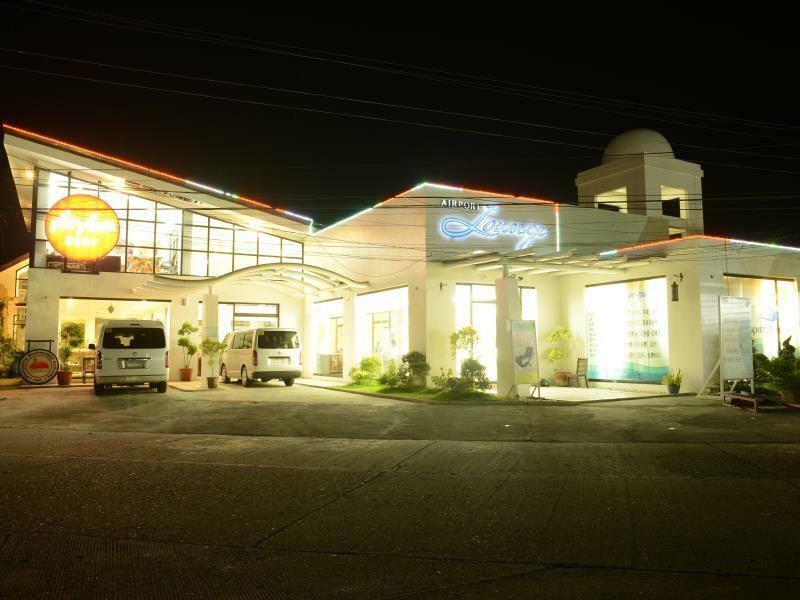 The hotel is located literally right across the arrival area of Kalibo airport. Very ideal place to stay if you will be on a late flight especially if you will be travelling with kids. The staff were all friendly and accommodating. They even suggested to have our breakfast delivered to our room since they knew we needed more time to rest coming from a 6hr delayed flight. very friendly and accomodating staff. they made me feel right at home. and they go out of their way for any requests you have. what i don't like: no telephone inside the room, i found some cobwebs in the room, it's a good thing that it is cheaper via agoda. This hotel is very clean. Staff are generally kind. It's RIGHT before Kalibo airport and so perfect to tourists waiting for airplane at late night. I think it's better choice to check in this hotel than to spend money for expensive airport lounge. You can use free wifi and be relax in a clean room . This hotel also prepare dinner for guests who check out late night instead of breakfast. I got a problem with moving to Boracay Island. But staff was so helpful to talk with local transfer company. It was good memory of the hotel. Location very near the airport and friendly staff. 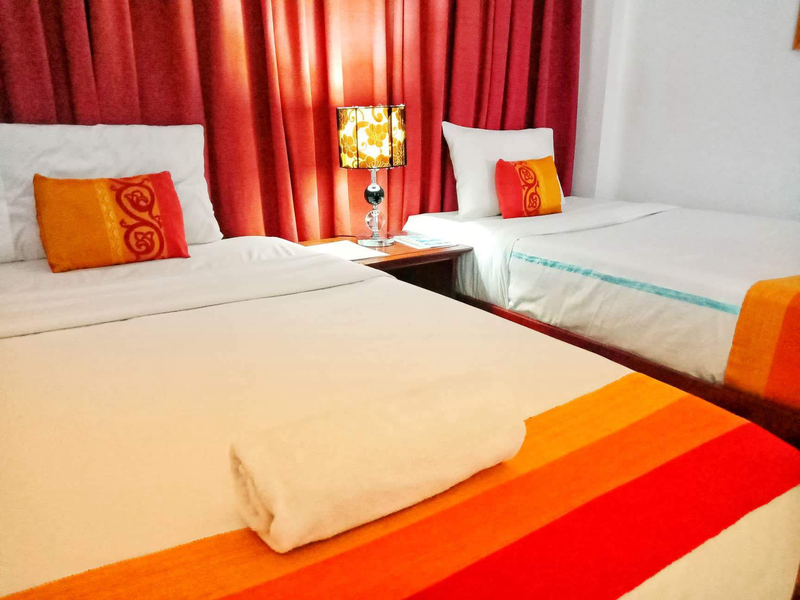 The Discover Boracay Hotel is just across the street from the Kalibo Airport. 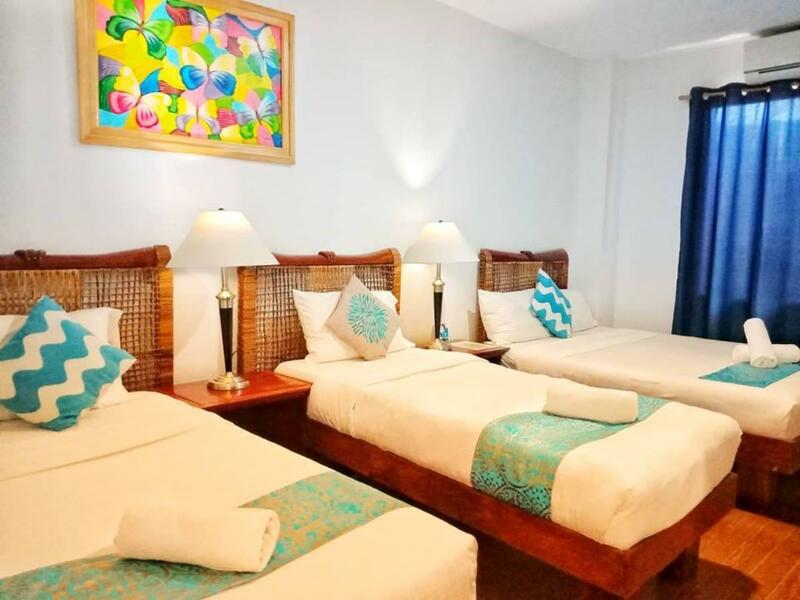 While the property itself is nothing special, it's a great place to stay after a flight into Kalibo and before continuing with the "transfer" - which will take at least 3 hours - from the airport to Boracay Island. There are other properties relatively nearby, but none have the convenience of Discover Boracay. It's also clean, has a better than average free breakfast, and decent amenities for the price point. Staff always smile and very inviting. Location is just few steps from the arrival area of KLO. Breakfast though not buffet but the serving is generous enough. Service is very good, It's like 2-3 staff were serving us during our visit. For improvement, I guess the size of the TV could be a little bigger and extra bed its a bit pricier. Overall, very good experience. Big thumbs up to the staffs..from the kuyas who always stop the vehicles so we can cross safely, very helpful and accommodating front desk personnel, super friendly housekeeping to the restaurant staffs...... we very much appreciated all your help and excellent service. Boracay should have more people like you. Hotel is ok but the A/C is very noisy even though it's a split system which means the management are too cheap to fix it. Otherwise the room wasn't bad. Breakfast was probably 4 out of 10 but better than nothing. the people in the receipts are stupid with bad attitude.but the staffs are good people.the room was dirty with a lot of ants.you can easily heard the voice of next room no telephone in the room so cant even complaint to the admin.the only reason to stay is because the location. My family took the last flight from Manila to Kalibo so we arrived at Kalibo around 9pm. From the airport, we just walked towards Discover Boracay. The front desk staff was very accommodating, helpful and understanding. The room was just the right size for a family of four (2 adults and 2 young children, including an extra bed for the older child). The pillows are very soft. The blankets and linens' texture are comparable to a 4 or 5-star hotel. Almost all of the basic necessities are available in the room.